Aerospace and Automobile industries are two of the most striving industries in the world right now. The research involved in these industries is mainly to design the vehicles and aircraft with maximum efficiency. This involves an extensive knowledge of Computation Fluid Dynamics analysis(CFD). 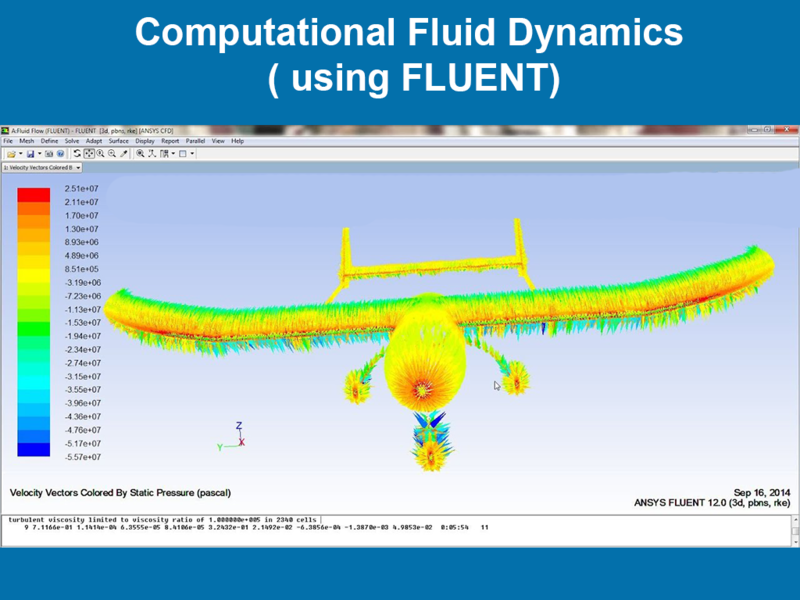 Fluent software, now a part of Ansys, is being widely used for fluid flow analysis in the aerospace, Automotive and Energy Industries. Aerodynamic analysis of F1 car and aircraft carriers are easily done by using Fluent. Fluent is most popular with Research and Development teams in companies. Our advanced learning course deals with making the students understand the concept of Fluid Dynamics and solving complex equations involved in it. Furthermore, by hands- on training on software like FLUENT, the students can simulate and validate their design. This course is a part of Ready-for-Industry course, which aim to make, the budding design engineers, adept with the scenarios in a company. The outcome of such courses is to give that extra edge to the students where in a company views them as the right candidate. 2. Learn how to solve difficult equations of Fluid dynamics .